Hiking the Kolob Arch Trail takes you to less crowded parts of Zion National Park and provides you with some incredible views of eroded cliffs and an amazing natural arch. 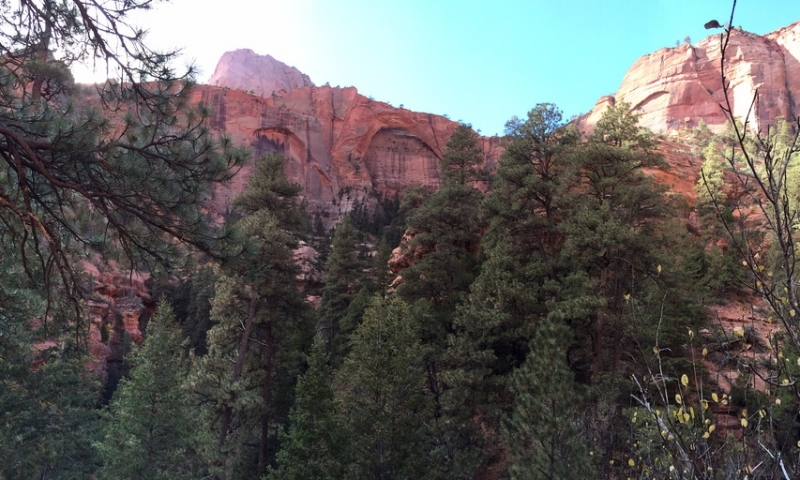 To see the freestanding Kolob Arch as it perches high on a cliff is an awesome sight. Formed by erosion and other vagaries of nature, this arch is the second largest natural arch in the world. As you hike through the Juniper trees and along La Verkin Creek, you will marvel at Zion’s beauty and peacefulness. This 14-mile trail is strenuous, but as you progress from the Lee Pass Trailhead, you will have no regrets in embarking upon this adventure. Take exit 40 off of I-15 and drive 3.7 miles up from the Kolob Canyons Visitor Center, and park in the Lee Pass Trailhead parking area. The best time to hike the Kolob Arch Trail is in the spring and fall. Summers are hot and there is a lack of shade here. The trail is slick and wet in winter, so this is not the best time to come. Bring all the equipment you need to make your hike safe and trouble-free. If you are going to take water from La Verkin Creek or Timber Creek, be sure to purify or filter it before drinking. Sun protection is a must in the summer. Be prepared for some fatigue when hiking through soft sand. 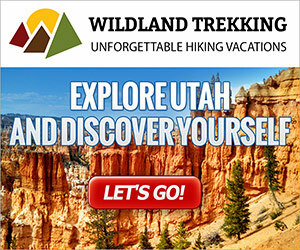 If you want to enjoy the hike as an overnight backpacking trip, you have two options. Note: Make sure to acquire a Backcountry Permit before you hike if you plan to stay overnight. Hike in from Lee Verkin and hike out via Hop Valley along the river basin. This is an overnight option with shuttle companies offer options from Springdale. The trail follows an often dry river bottom and can be sandy and flat. 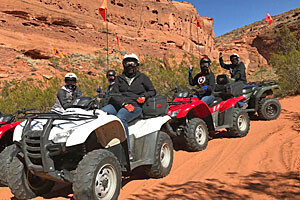 Hike out and back from with overnight parking at Lee Verkin. You can hike 7 miles starting at Lee Pass to Kolob Arch. Day hikes up the canyons to Beartrap Canyon and Willis Canyon. This is a great area to spend a few days. Camping is permitted in designated sites only.